Rotorua’s newest tech festival will take place at the end of June to help launch, grow and scale digital businesses. The Taiopenga Hangarau Rotorua Tech Festival is a local initiative run in partnership with Rotorua Lakes Council, Firestation and Rotorua X. The hope is for this to become an annual feature in the Rotorua business calendar. Over three days the festival will leverage the skills and experience of local businesses and experts. A range of speakers will share their knowledge of using tech for business in free one-hour clinics covering a diverse selection of tech related topics. Free co-working at Firestation will be available throughout the festival. Matt Browning, co-founder of Salt & Tonic, a VR and app development tech start-up says he is stoked to be part of the event. He is running three tech clinics on virtual reality. He is using the festival to help people understand what VR it is and how it can be used by businesses. 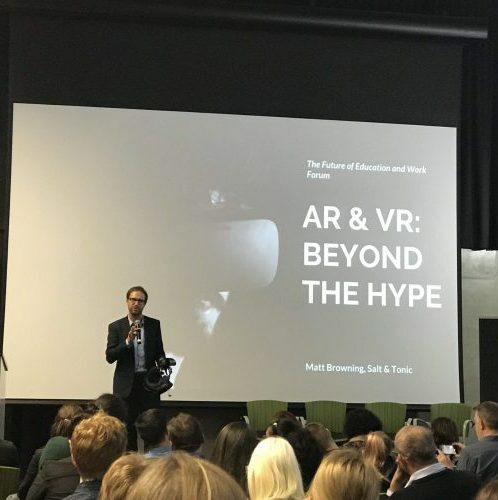 “We have already had tourism operators come to us saying that they are looking of unique ways of getting in front of decision makers and they think that virtual reality could hold one of the keys to this,” he said. Event director Darren McGarvie Chair of Rotorua X says he is looking forward to the festival and thinks it will be an epic event for the business community. The clinic topics are wide and varied. As well as VR the sessions they include protecting your intellectual property, scaling a digital non-profit, electric vehicles and their suitability for business, digital marketing, going global from Rotorua, attracting angel investment and more.